My biggest problem with thrifting? I am tempted to buy SO much! 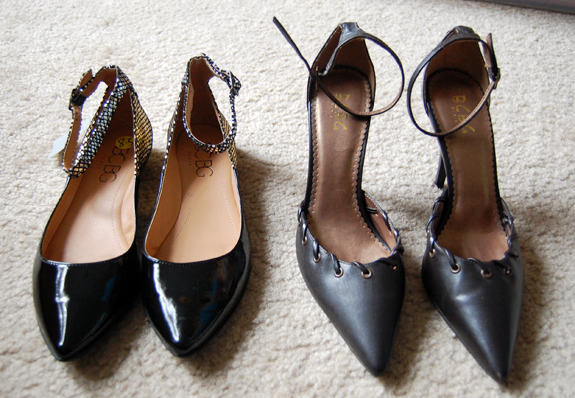 No matter where I shop, I always manage to find at least a couple of things that would work well in my closet. 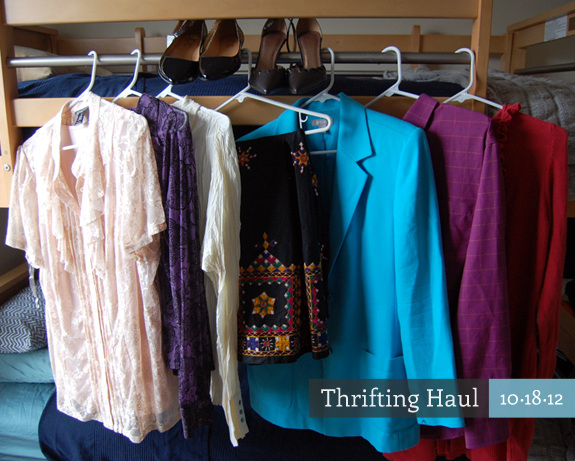 This time, I shopped at Goodwill and Alexis Suitcase, and I wasn’t disappointed. 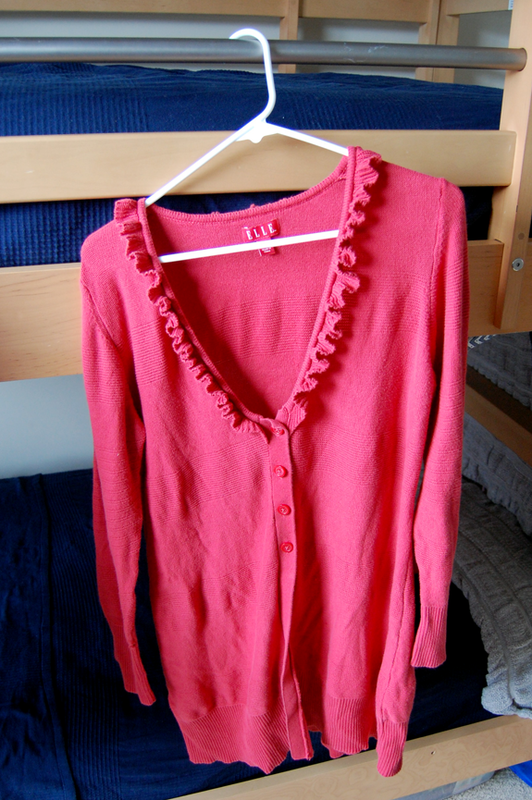 Most of the items were found at Goodwill — hence the rock-bottom prices. The higher priced items were found at my favorite consignment store, Alexis Suitcase. I don’t mind paying a little more for high-quality items, and the quality at consignment stores will almost always be better than thrift stores because they are more selective about what they sell. On the flip side, though, this means that you’ll generally get a good return when you consign items with them. With fall in full swing and winter quickly approaching, it didn’t take long for me to realize just how ill-prepared I was. The few cold weather pieces I owned were too big, so this shopping trip was very much focused on warmer items, or at least stuff I could layer. This cardigan will be great for days when there’s just a little chill in the air. 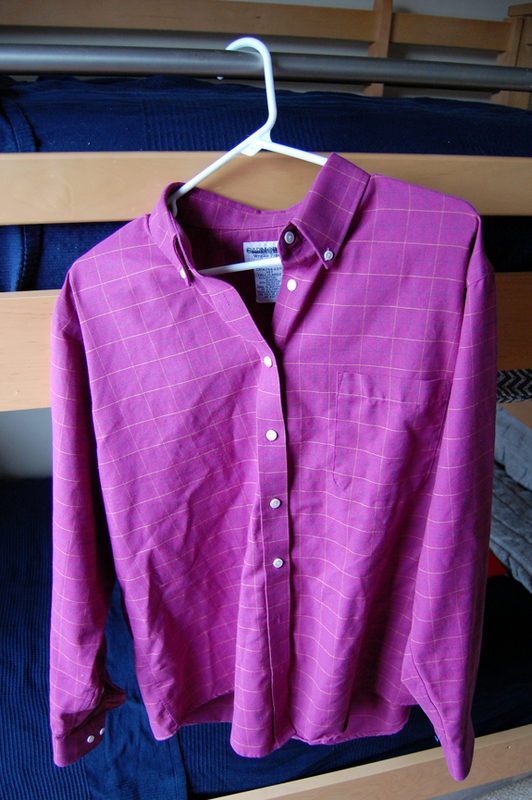 I’ve really been loving menswear-inspired looks lately, and I can easily envision this men’s button-down shirt from Cabin Creek tucked into some high-waisted jeans with pointed-toe boots. 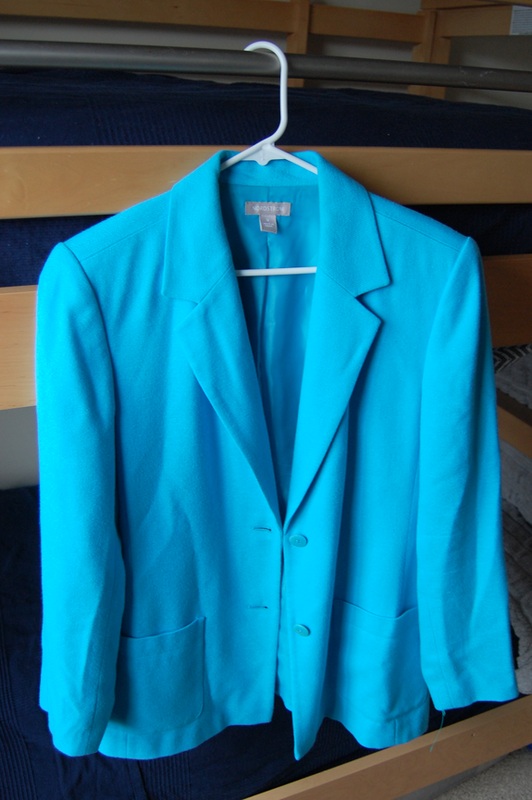 This blue blazer from Nordstrom called to me from a few aisles over as soon as I spotted the color. It is just slightly snug around the arms, but it’s a size 12, and I have every intention of fitting into it beautifully within a few months. My Cinchspiration weight loss journey has already brought me from a size 20 to a 16 (and I’m more than 30 lbs. lighter! ), so I’m confident I’ll keep moving in the right direction. 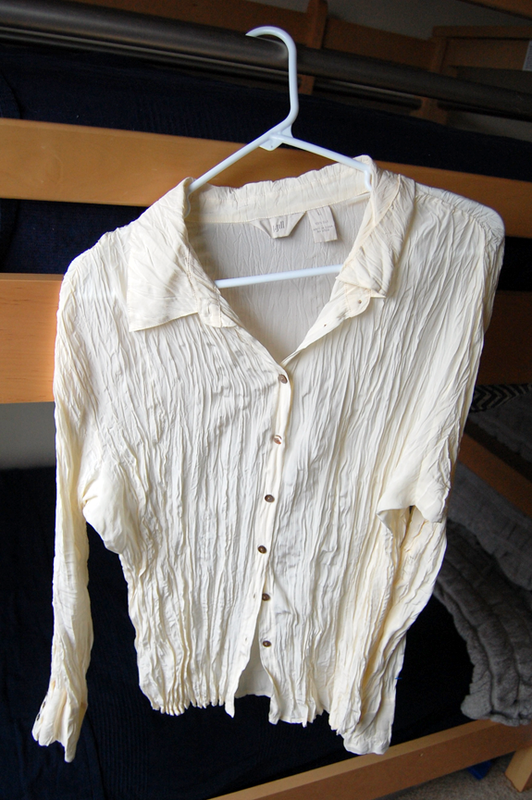 This crinkly silk top from J. Jill will be a part of my wardrobe for a long time to come. 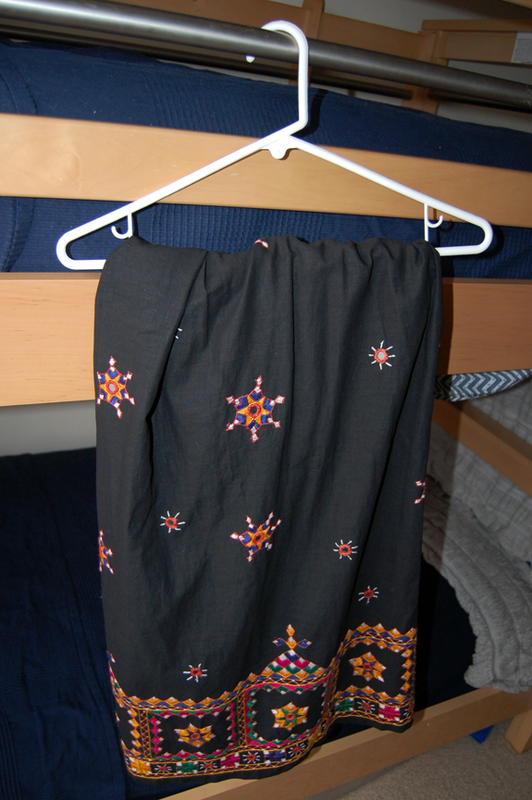 I can use it to dress up jeans, with slacks, tucked into a pencil skirt or about a dozen other ways. Another look I’ve been liking, but not quite daring enough to wear (yet!) is a sheer top with a bra showing through. Not everyone does this well, and my goal is to do it in a way that doesn’t look trashy. This top is a dark enough color that I’d be able to get away with a black bra without looking like I’m half naked. I’ve really been wanting something made of lace, and this INC top definitely fits the bill. 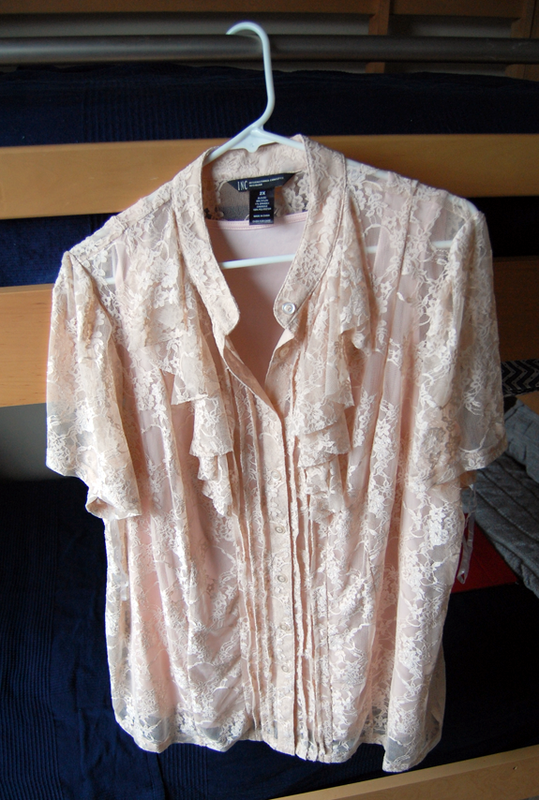 The pale pink color is more feminine that I’d normally go for, but it’s lace, so that point is sort of moot, isn’t it? Lol! 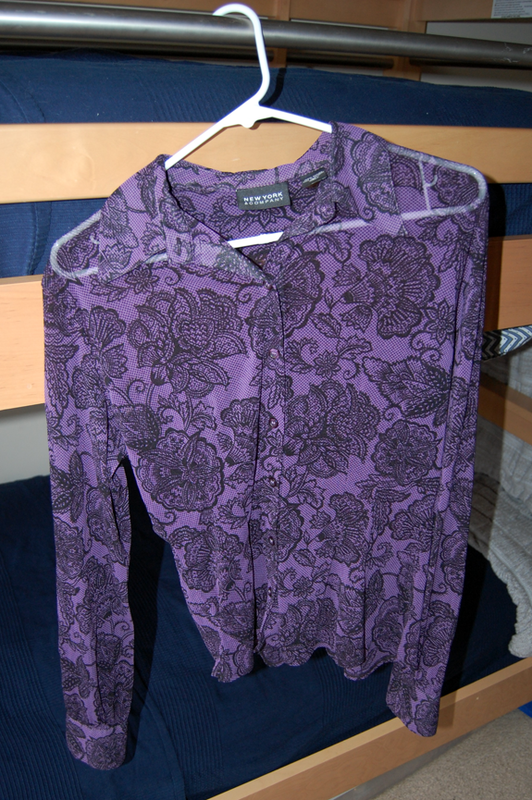 The top is also a 2x (I’m in an XL or a 1X at the moment) so it fits really loosely. However, I plan to wear it with a belt, so the looser fit just means I’ll get the tunic effect I want. 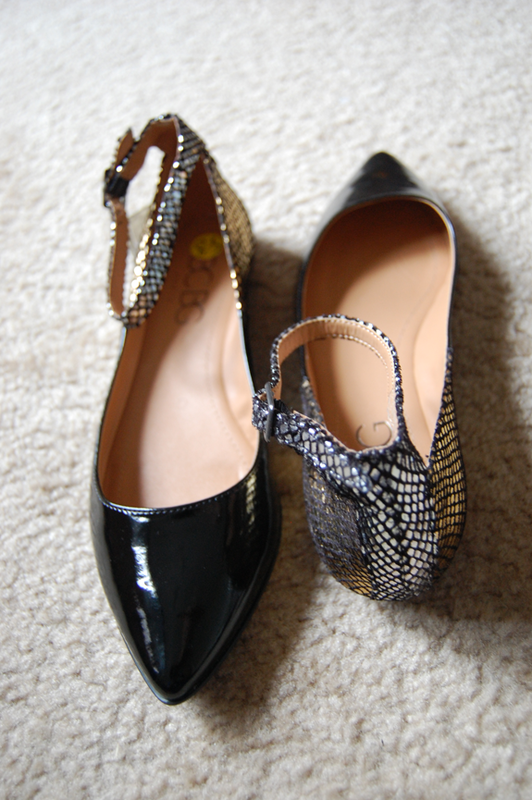 The black patent leather is great for winter and for dressing up an outfit, and the ankle straps and back of the shoes feature both silver AND gold, so I can wear them with bling in either finish. Love! I think I scored pretty well this time. What did you find on your last thrifting trip? Feel free to share links to your hauls in the comments! I just love going to thrift stores. It is so exciting when you find a real treasure amongst all the merchandise. Next post: Share Your Hilarious “MOMent” & Win a Dream Vacation!